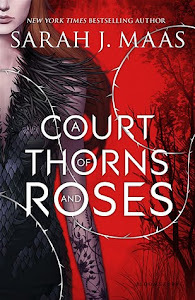 If there is a book that deserves to have an anthology filled with authors' thoughts written for it, then that book is definitely the Hunger Games trilogy by Suzanne Collins. 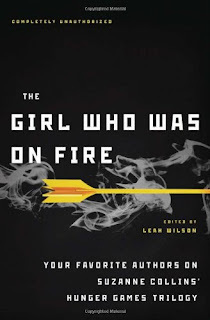 The Girl Who Was One Fire is exactly that: authors' take on the YA phenomenon that is the Hunger Games and what, according to them, made it such a huge success. Personally I liked all the essays. Some were longer than others and they dragged just a little bit, giving me the impression that they were more of an analysis on the books rather than an expression of opinion on them. Apart from that though, I was thrilled to see(it really showed)that the authors chosen are indeed huge fans of the HG and were not just doing it because they "had to", because it was just another job. I liked that they were very opinionated and passionate about the books. Sometimes I found myself thinking "Oh yeah.Hm I haven't thought of that, she's right! ", and I was affected by what I read, discovering new perspectives on the matter I never thought about. There were times that I disagreed of course, because that's just me! I objected to the love triangle right from the start because I think that it's completely unnecessary to books like the HG which has such an important and deep story to tell. Also, I have my objections about Katniss's absolute selflessness but I'm not gonna dwell on this now. This book doesn't have a story so I can express my opinion about, it's a bundle of opinions ON a story. So judging other people's opinion is not the purpose of this review. Each essay had a different "subject". There are essays on how love was used as a weapon, on specific characters (Katniss), on how media affected the games, on how Panem may seem fictional but with the progress of science everything is possible etc. If I had to choose a favourite, it will have to be Carrie Ryan's essay(I kinda love Carrie Ryan so it's only natural) in which she makes an eye-opening connection between the HG and reality television. She claims that reality TV exists basically because of us, the viewers, because we're watching and by doing so we "increase the ratings, and as our interest wanes the shows must become "more" to recapture our attention-". She compares Survivor to Hunger Games and how the former became more brutal along the years. Since I'm a huge Survivor fan and have watched every season I have to say the comparison is perfectly accurate but in all honesty, I have never thought about it that way till Ryan pointed it out. "In the end, if there is one truth that can be taken away from the Hunger Games it is this: we, the reader tuned in and boosted its rating. Even while Katniss rails against the Games as disgusting and barbaric, we the readers turn the pages in order to watch them. We become the citizens in the Capitol, glued to the television, ensuring there will be another Game the following year. Thanks to us, the ratings are just too high to cancel the show." This also goes hand in hand with what Sarah Rees Brennan says about the Romans "liking for bread and circuses-for instant gratification that would distract them from the harsher realities of life." 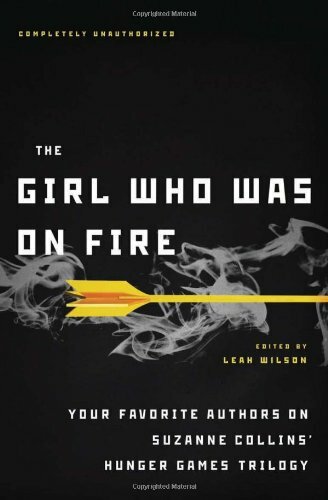 Overall, I liked The Girl Who Was On Fire and felt like I was discussing the Hunger Games with friends all over again. The moving and thought-provoking essays are a definite must-read for every Hunger Games fan! Thanks for the book review. I recently purchased the novel and am planning on reading it soon. This sounds great! I must get this!